Enviva was established in 2004, currently Enviva operates 7 wood pellet plants with total production of more than 3 million tons / year. Some of its wood pellet production is exported to the UK and Europe. A number of ports are used For shipment or export of wood pellet, ie port of Chesapeake, Virginia; port of Wilmington, North Carolina, and ports from third party in Mobile, Alabama and Panama City, Florida. 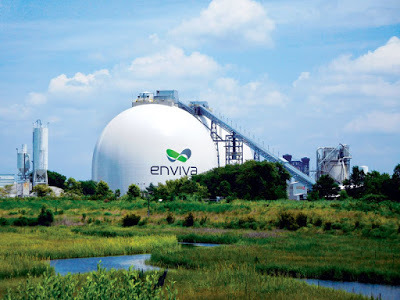 Enviva has recently announced for an off-take contract with Marubeni to supply 100,000 tons / year of wood pellets to new power plants starting in 2022 for 10 years. Enviva's raw materials are mainly sourced from 1,183 industrial forests in 77 districts and in five southeastern states. Forests in the Southeast continue to grow and expand, with the total forest land in the Enviva area as a major supply increased by 320,842 hectares from 2011 to 2015, according to the US Forest Service. Inventory in the area has grown by 10 percent over the same time period and continues to increase as forests grow at a faster rate than they are harvested. Graanul Invest is the largest wood pellet producer in Europe and established since 2003. The production capacity of this producer is around 2.3 million ton / year by operating 11 wood pellet plants. In the early stages the company operates 2 wood pellet plants, one in Imavere, Estonia and one in Alytus, Luthuania. Subsequent developments with the acquisition of new plants and plant construction, to date operate 11 wood pellet plants. Port for export of Riga port in Latvia and port of Tallinn, Parnu and Kunda in Estonia. Drax in addition to being the largest wood pellets user today with more than 10 million tonnes / year, is also the largest producer of wood pellets in the world. Drax biomass as wood pellet producer started to operate since 2017 with total production about 1.5 million ton / year. Drax biomass has its headquarters in Atlanta and currently operates 3 wood pellet plants in the states of Louisiana and Mississippi. 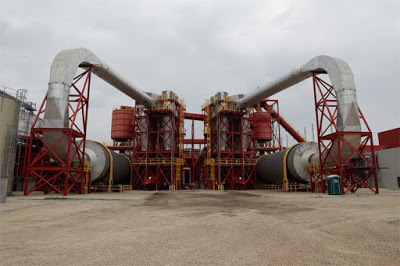 Their wood pellet products are used to supply power plants in UK with shipment through Baton Rouge Transit on the Mississippi River at the port of Greater Baton Rouge, Louisiana. Pinnacle was established in 1989 and currently operates 6 wood pellet plants in British Columbia, Canada with raw materials mainly forest waste. Its production capacity is 1.4 million tons per year and its wood pellet products are exported to Europe, UK and Asia. Pinnacle wood pellet plants are on the main railway line, so transportation to the port is by train. The port used is the Westview terminal in Prince Rupert, which is the company's own port and Fibreco terminal in the port of Vancouver. To increase its production Pinnacle is currently building a wood pellet plants in Entwistle, Alberta and Smithers, British Columbia. An Viet Phat is a wood pellet manufacturer from Vietnam operating since 2014 with a current capacity of over 800,000 tons / year. 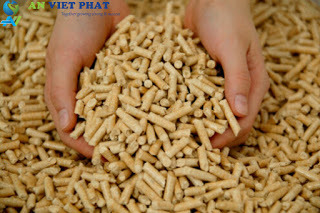 An Viet Phat is also Asia's largest producer of wood pellets and the world's largest manufacturer of wood briquette. Market or export destination for wood pellet products ie Korea and Japan, with larger portion to Korea. Export is done from Ho Chi Minh port. Russia as a big country but its wood pellet production is still below the top 5 producers. Russia's largest wood pellet manufacturer Vyborg has a capacity of 300.00 tons / year, ranking second in Arkaim on its west coast. Later in the country there are many small-capacity pellet producers in the northwest and especially to meet the heating market in Europe. Most of the other areas are also not large for the production of wood pellets. Australia is currently only 2 wood pellet plants that export their products - Plantation Energy and Altus. 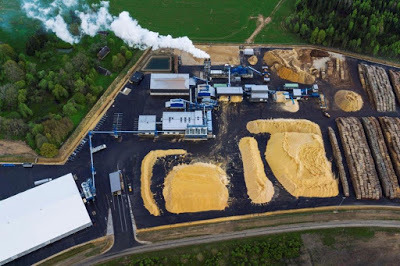 Wood pellet production from Plantation Energy is around 250,000 tons / year while Altus is only 75,000 tons / year. Export target from Australian wood pellet especially Japan. The Middle East area is also the same as Africa is very few producers of wood pellets and from that little it's products are also only used in the country. Latin America is a small producer of wood pellets and one of the largest, Tanac in Brazil with a capacity of 400,000 tons / year. All wood pellet products from Tanac are exported to the Drax biomass power plant in the UK. Based on the above references, Indonesian wood pellet producers should be able to compete with them. This is because the potential of raw materials is very large in Indonesia. The production of wood pellets from energy plantations and integrated with sheep or sheep and cattle farming and honey bee farms, will optimize the land and give maximum results as well. In addition, when viewed from the largest wood pellet plants in the world today also started its business relatively in the recently. Only Pinnacle started before 1990, while the average started over 2000, even Drax Biomass began operations in 2017 and An Viet Phat since 2014. The above facts are increasingly proving about the development of Al Qur'an-based energy and the hadith of the prophet also implies that the earth will return prosperously and green before the doomsday. "There shall not be the Day of Resurrection, until the treasures have been piled up and overflowing, until a man goes everywhere carrying his treasures of zakat, but he has not found one who is willing to receive his zakat, and that the land of Arabs flourishes prosperous again with grasslands and rivers "(HR.Muslim). 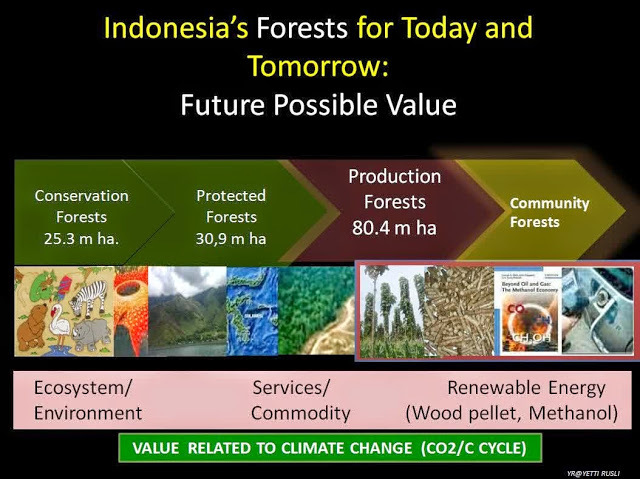 Can Indonesia be a wood pellet giant? It can be. InshaAllah.